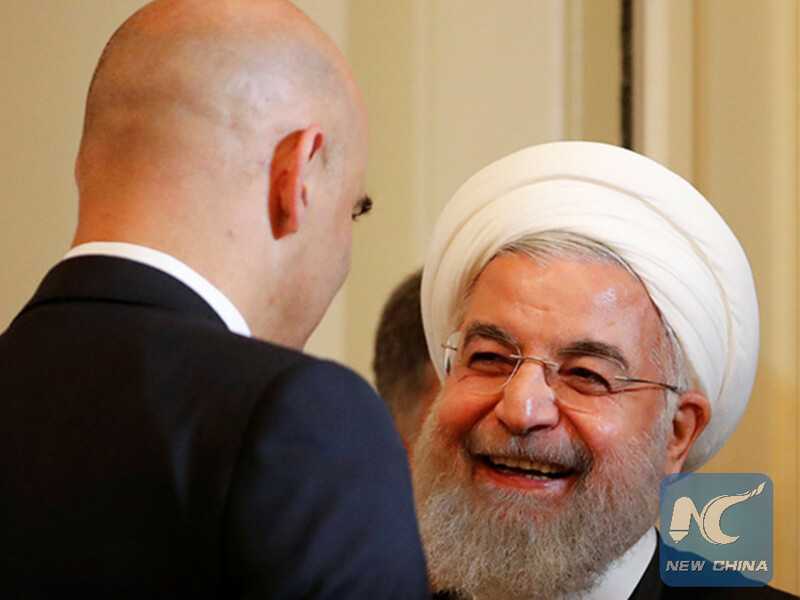 TEHRAN, July 3 (Xinhua) -- Iranian President Hassan Rouhani and his Swiss counterpart, Alain Berset, expressed their support for the Iranian international nuclear deal, official IRNA news agency reported on Tuesday. Iran has been committed to the 2015 deal, also known as the Joint Comprehensive Plan of Action (JCPOA), and will remain obliged to it, Rouhani said in a meeting with Berset in Switzerland on Monday. "We announce to the world that Iran respects the international regulations including the non-proliferation treaties," he said, adding that "we will continue our cooperation with the international organizations as well as with the IAEA (International Atomic Energy Agency)." Also, Berset described the JCPOA as a big diplomatic victory for the world, calling on the signatories to the nuclear deal to continue its full implementation. Rouhani is visiting the European country at the official invitation of his Swiss counterpart. During his trip, the Iranian president will discuss topics of mutual interest.